The only photo I took today. 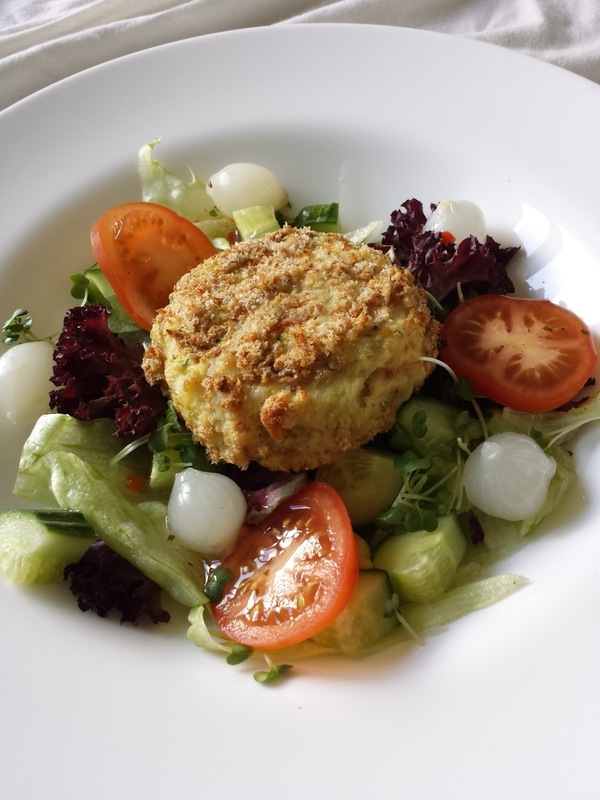 Leftover Slimming World fishcake with some salad for lunch. We have started getting activity bags from our course we have been going to. 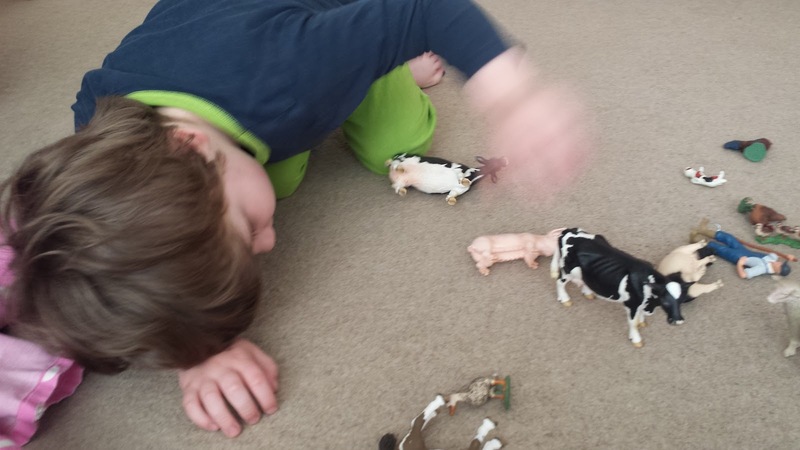 This week it was an Old McDonald theme and J really enjoyed playing with the farm animals. 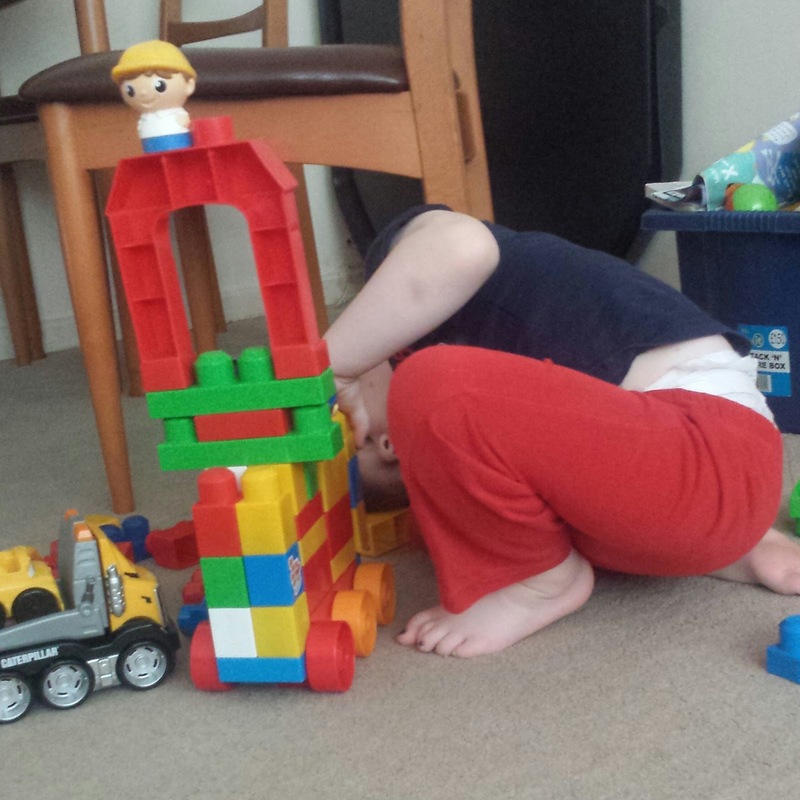 J is getting really creative with his building lately! N was loving his mini ice cream for dessert today! Though it was covered in chocolate and he didn’t really know what to do with it so just sat staring at it for a while first! 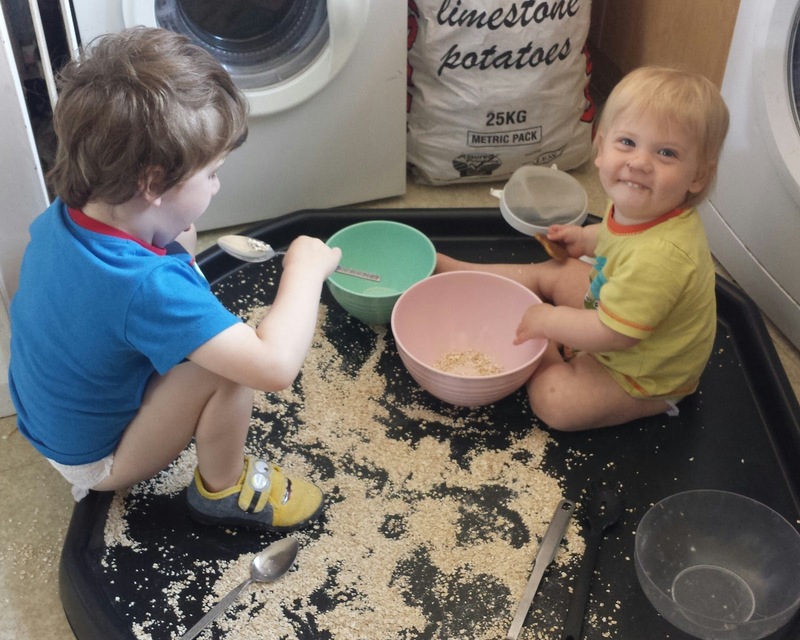 I had a couple of jobs to do so I got some porridge oats and equipment out for the boys to play with, it kept them occupied for a long while! 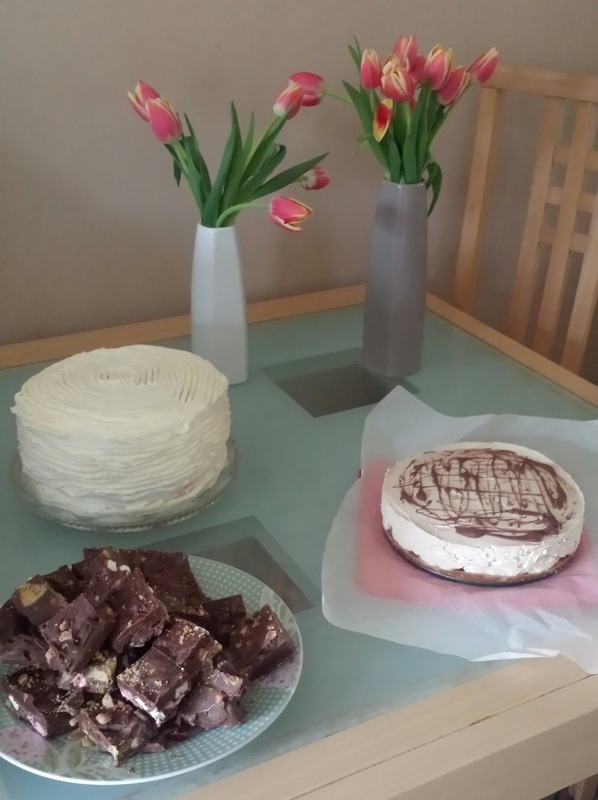 Another food photo, sorry… After overindulging at bake club last night I was back on plan today as I really want that two stone before I go on holiday! 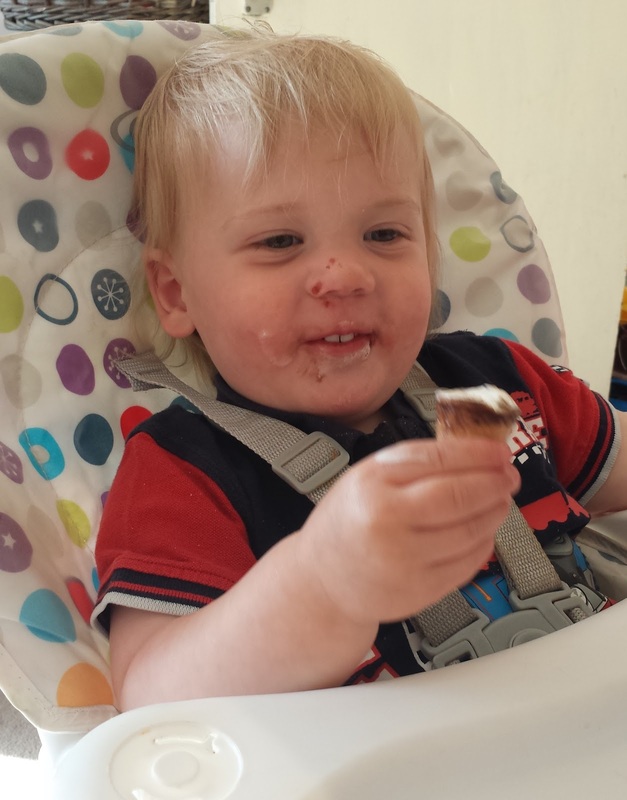 Had to smile when you said N sat staring at his ice cream.. our oldest grandson does the same when given something he's not had before. 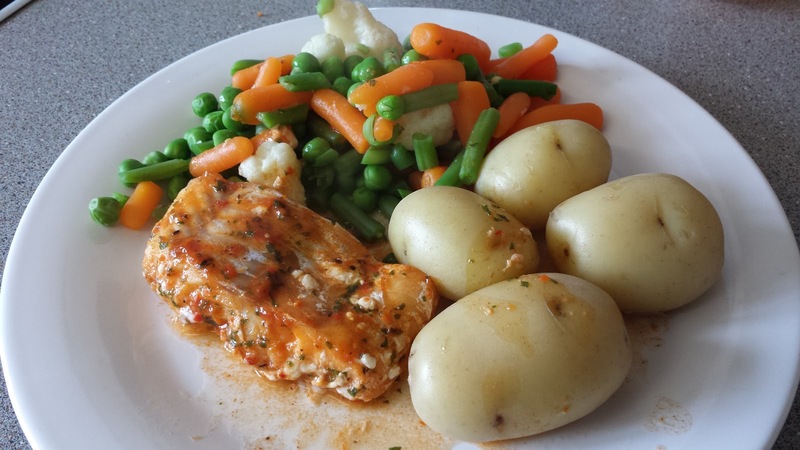 The fishcake lunch looks amazing as does the cakes! Yum!